Many countries around the world are looking for Filipino skilled workers such as welders and carpenters. 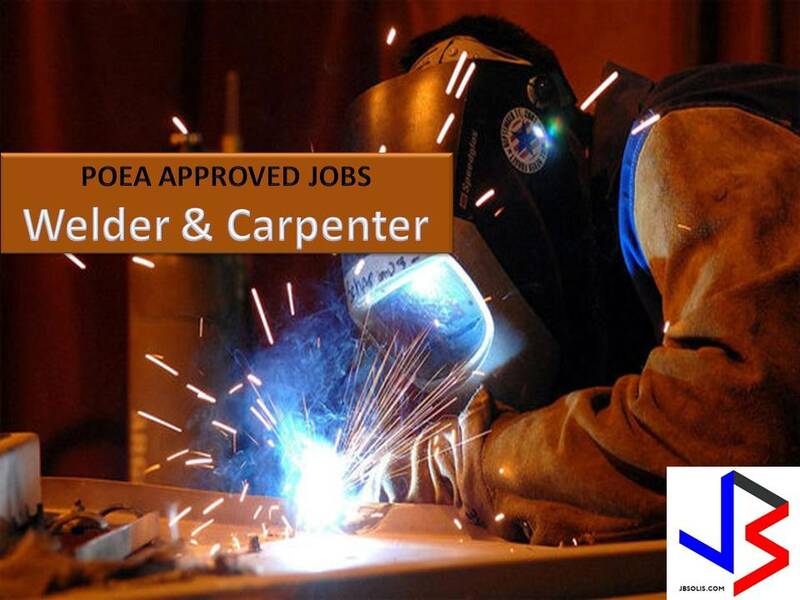 Here is the latest list of welding and carpentry jobs approved by Philippine Overseas Employment Administration (POEA) from the month of May to June 2017. If you are interested, choose your desired position below or jobs you want to apply, click it to view the information of recruitment agencies where you can apply. We are not affiliated with these recruitment agencies and the information below is for general purpose only. If you have doubts, you may check the current job listing in POEA's website.